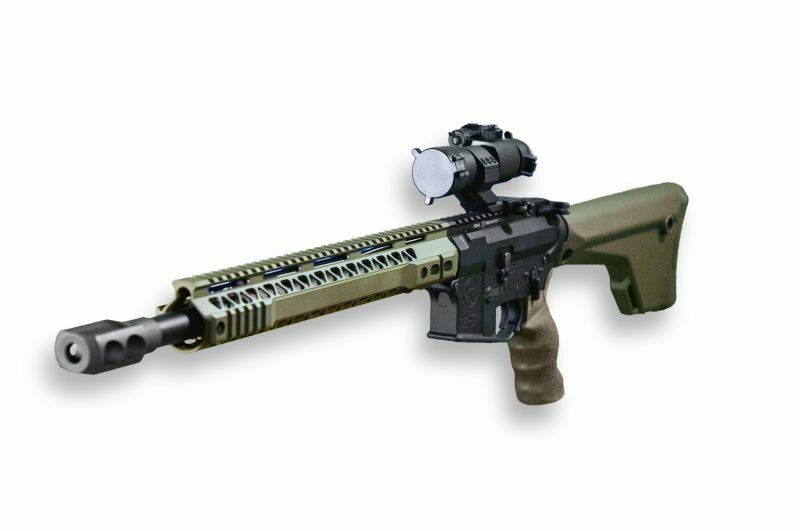 The .50 Beowulf® is a proprietary and trademarked name of Alexander Arms™. It bullet diameter of .50 inches (12.7 mm) as the name indicates. Various ammunition weights are offered with bullet weights from 290 grains to 400 grains. Muzzle velocities vary from 2,000 fps for the 290 grain bullet to 1,800 fps for the 400 grain from a 16 inch barrel. Muzzle energies are in the 2,620-2,915 ft/lbs. range from a 16 inch barrel. Due to the Alexander Arms®. 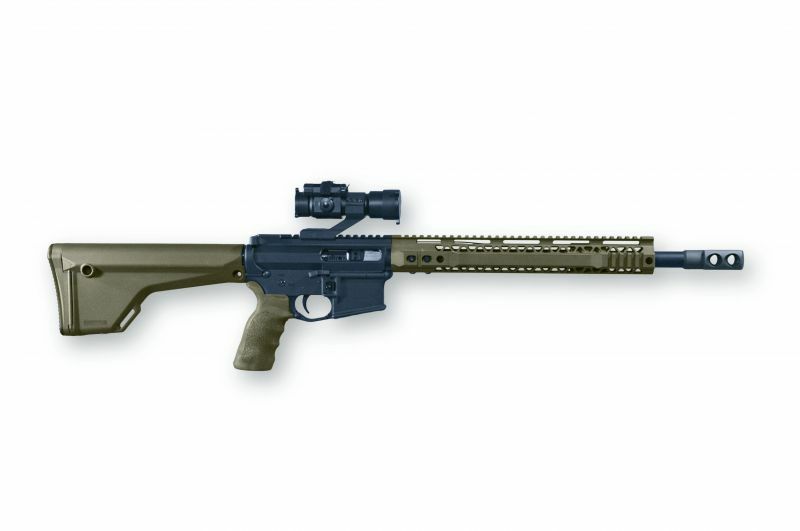 Trademark name, Performance Firearms offers a 12.7x42 AR-15 .50 Caliber Rifle that shoots the .50 Beowulf® Ammunition. Our barrels are exclusively made from 416R Stainless Steel and are also available with a black Teflon coating for the black barrel finish. 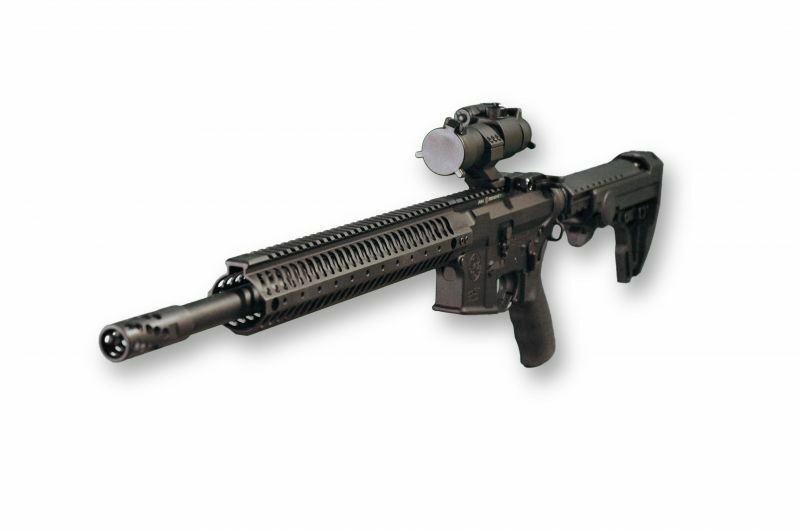 The ammunition single stacks in a standard AR-15 anti-tilt magazines and P.F. have tested many magazines. 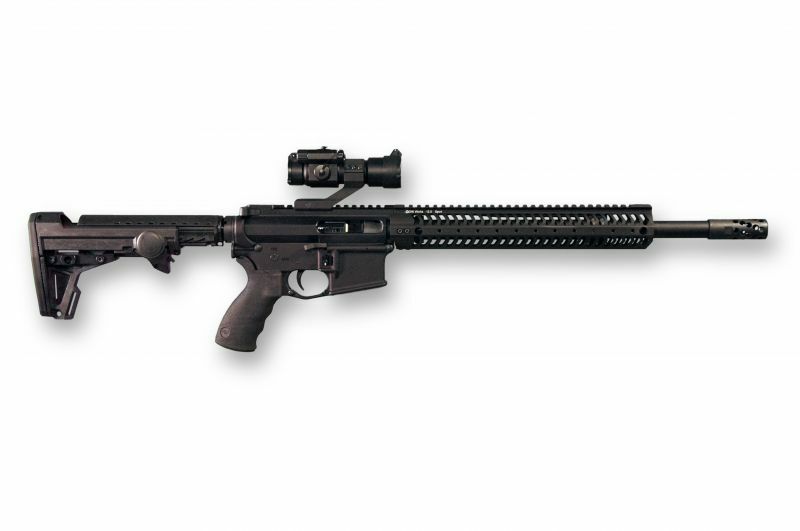 The .50 Caliber AR-15 is a one of a kind rifle and is a very effective hog hunting cartridge. 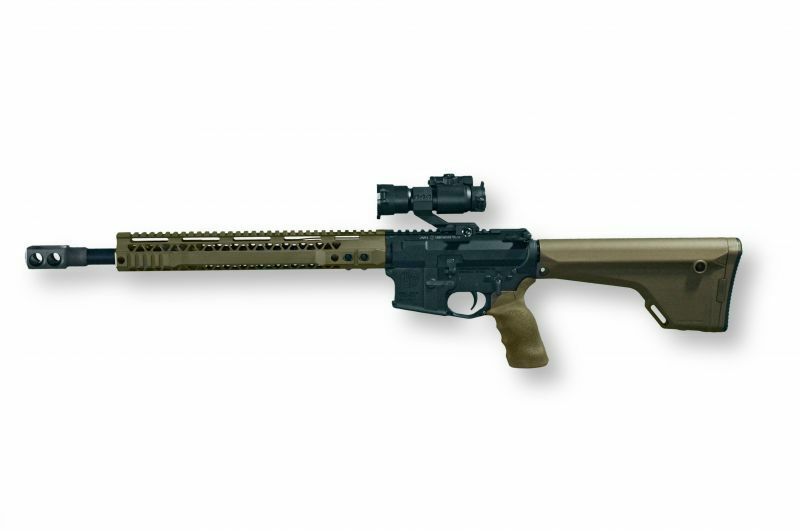 If in the brush, there are no worries of the bullet deflecting off of twigs or small trees, it will stay on course and provide one of the best stopping and knockdown rounds found in the AR-15 platform. If a deer is taken, it usually is dropped at point of impact with no tracking. This cartridge is also used for large game and Alexander Arms™ offers Dangerous Game Ammunition. Another source for .50 Beowulf® ammunition is Underwood Ammo. Recently they have release a 325gr Xtream Penetrator Solid Brass bullet that is manufactured by Lehigh Defense. Underwood uses brass manufactured by Starline and is head stamped with their logo to identify that it is not manufactured by Alexander Arms™. Reloading is the most cost effective way to keep feeding the Wulf. 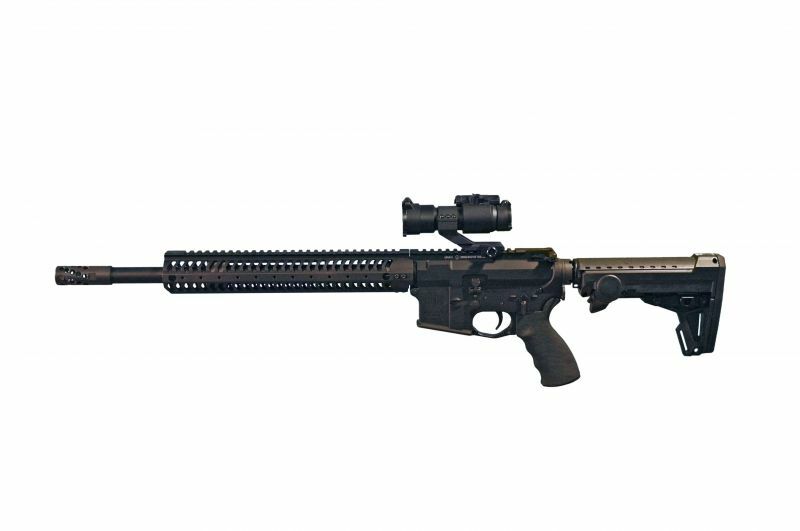 Side Charge .50 Beowulf® with Custom Unique Performance Firearms Muzzle Brake. A few options avalible for the .50 Caliber you build to your liking.